• Undergraduate Health science, Paramedic science, Nursing, Midwifery, Podiatry and Optometry students. 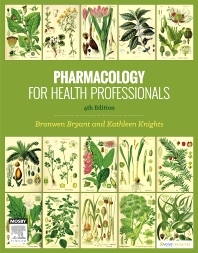 Pharmacology for Health Professionals 4th Edition provides a comprehensive introduction to fundamental pharmacology principles and concepts. The fourth edition has been fully updated and revised to reflect the most up-to-date information on the clinical use of drugs, Australian and New Zealand scheduling, drug legislation and ethics. • End-of-chapter review exercises to test your understanding. • Evolve resources for both lecturer and student.